We are located in the Reynolds District. Take US 74 East from Asheville towards Lake Lure. At approximately 1/4 mile past the Blue Ridge Parkway overpass, turn right onto Rose Hill Road. Reynolds Baptist Church is located 1/8 mile on the right. 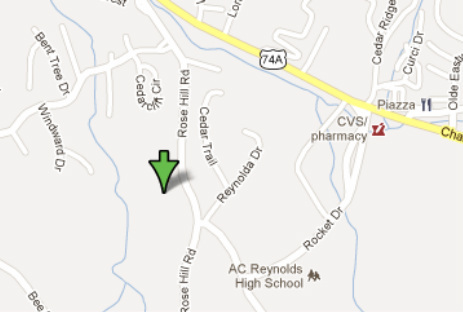 The address is 520 Rose Hill Road, Asheville, NC.